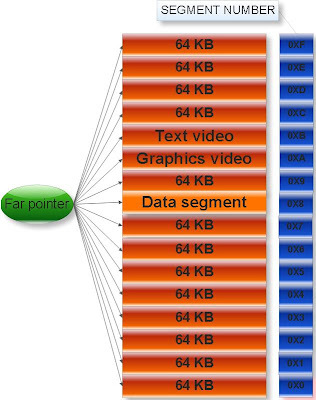 Size of far pointer is 4 byte or 32 bit. What is segment number and offset address? Note: We cannot guess what will be offset address, segment address and far address of any far pointer .These address are decided by operating system. What is normalization of pointer? thanks a lot for the post...helped me a lot..
good explaination keep it up.............! !